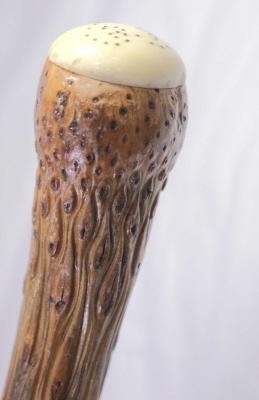 This is a fabulous cane and unusual in every way. The structure of the cane formed from a root ball. Down the length of the cane bone carved skulls are held. The top of the cane holding a bone pique plate.